All means for the peaceful settlement of disputes should be exhausted before establishing peacekeeping operation. Peacekeeping operations should strictly adhere to principles of the UN Charter, in particular the principles of full respect for the sovereignty and territorial integrity of States, and non-intervention in their internal affairs. Peacekeeping operations should be considered only at the request of the member states involved and should be under the command and control of the UN. Resources for peacekeeping activities should not be at the expanse of resources for development activities of the UN. There should be no hesitation in ending those operations, which have been overtaken by events or become inconsistent with their mandates. It is also important to ensure that the distinction between peacekeeping operations and other activities of the UN, including humanitarian assistance, is maintained at all times. The anticipated duration of a peacekeeping mission should be tied to clear objectives and realistic criteria to end the mission and an exit strategy. APF, Nepal taking part in some of the most difficult operations at several occasions has suffered casualties in the service of UN. 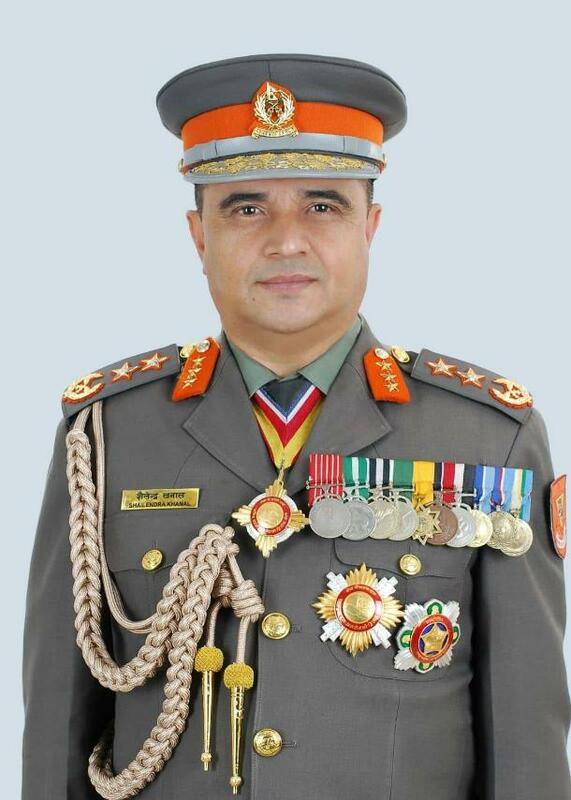 Likewise professional excellence of the APF, Nepal troops has won universal appraisal. APF, Nepal has evolved special training courses for its UN peacekeeping personnel prior to their dispatch to the missions as per the need deemed on the ground whilst in mission area. Those courses designed focus on the lessons learnt by former mission returnees, the commitment to the UN and the guidelines received from UN bodies at times. Departmental policy guidelines, earmarking of contingents and personnel for the forthcoming training and mission duties fall under the supervision of a Deputy Inspector General at the Department of Human Resource Development headed by Additional Inspector General. Doctrine and concepts on peacekeeping. Preparation and refining of General Staff Pamphlets, training notes, concept papers and other peacekeeping related training material. Than a battle enjoined by duty"
Not surprisingly therefore, through the ages, the profession of arms has always held a place of pride in the Nepalese culture. The APF, Nepal personnel cherish their heritage for having an unmatched reputation to live up to. The sense of their commitment to duty hold them accountable to sacrifices of the highest order to uphold the glorious traditions of the APF, Nepal. 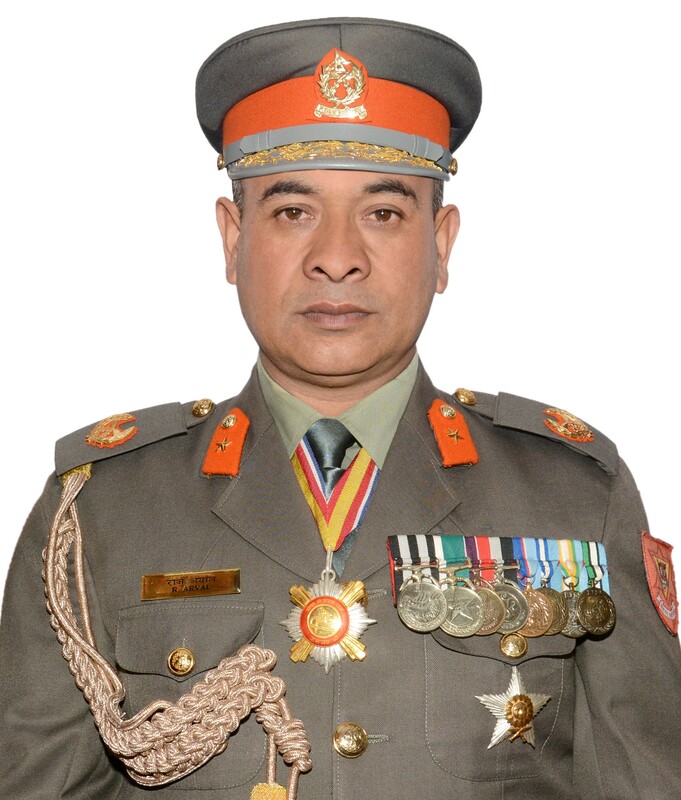 Taking into consideration over the last missions and thereof the performance whenever and wherever the situation demands of a reliable effective force undoubtedly there comes APF, Nepal in the front and the foremost line. Since October 2002, Armed Police Force, Nepal has its remarkable contribution to various UN Peace Keeping Missions like UNGCI (Iraq), UNMIK (Kosovo), UNMIL (Liberia), UNAMSIL (Sierra Leone), MINUSTAH (Haiti), UNMIS & UNMISS (Sudan), UNAMID (Darfur), UNSOM (Somalia),UNMIT (East Timore) & UNFICYP (Cyprus) as a UN Police advisers, instructors, monitors and contingent. 6121 Armed Police Personnel have participated as a member of FPU contingent and 739 personnel have surved as an UNPOL until 2016.